SSC CHSL Online Application Form: Staff Selection Commission SSC has announced new recruitment post of CHSL in Lower Division Clerk, Postal Assistant, Data Entry Operator. Those Candidates are Eligible to Apply SSC CHSL Online Application Form they can Read Full Notification Before Apply Online Application Form. In this page we share some very Important Information about SSC CHSL Online Application Form for Eligible Candidates. Staff Selection Commission SSC has Announced New Recruitment for the Post of SSC CHSL Here we share every Important link and notification to apply Online Application Form. CHSL Application Form will be Started on 18/11/2017 and the last date of application form is 18/12/2017 upto 05:00 PM. 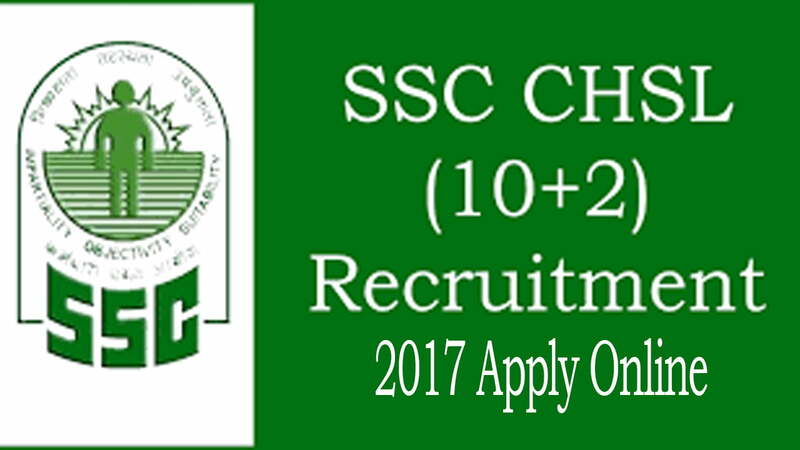 That’s mean you can Fill SSC CHSL Online Application Form Between 18/11/2017 to 18/12/2017. First we tell you if you are General or OBC Candidates then you must need to pay Examination fee till: 18/12/2017. 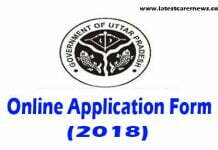 Online Pre Exam Date: 04-26- March 2018. Tear II Exam Date: 08/17/2018. Pay the Examinatin Fee through your Credit Card, Debit Card, Net Banking or Pay the Free through Offline mode (E-Challan) on SBI (State Bank of India). SSC CHSL Proposed 3259 Vacancy for Different Posts. There LDC/JSA has 898 posts. Postal/Shorting Assistant has 2359 Posts and Data Entry Operator has only 2 posts. Read Notification for Age Relaxation. All Posts have different Eligibility Criteria so we Share Post wise Eligibility Criteria for better understanding. LDC/JSA- To Apply LDC/JSA Post Online Application Form then you must have qualified 10+2 Intermediate Examination on any recognized Board in India. Postal/Shorting Assistant- To Apply Postal/Shorting Assistant post Online Application Form then you must have qualified 10+2 Intermediate Examination on any recognized board in India. 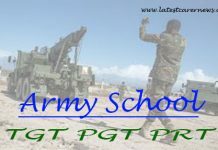 Data Entry Operator- To apply Data Entry Operator Post Online Application Form then you must has qualified 10+2 Intermediate Examination with Science Stream, Maths is a Compulsory Subject. To Apply SSC CHSL Application form you must need to Follow these Instructions. 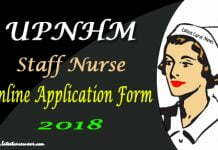 01- First Click on Apply Online Form Link as Given Above. 02- Now, SSC Website will be open in New Tab. First you need to Fill Registration Form so Click on “Register” Option. As show in the above Image. Such as: Name, Father Name, Mother Name, 10th Board Examination Roll Number, D.O.B. & Gender. After Fill the All Information Click on “Submit Button”. Now a New Page Will Be Open on Your Screen. A- Personal Details: This Section is Already Filled because you Already fill this Page after Click on Submit Button. 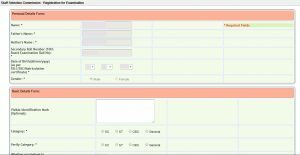 B- Basic Details Form: In the Basic Details Section you need to Inter your Basic Information. C- Contact Details Form: In this Section you need to Fill your Contact Details. After Fill these Information Click on “Submit” Button. Now a New Page will be open on your Screen. Here you got your Registration Number and Password. First write down your Registration Number and Password in any other Page. You need to Upload your Scanned Photograph and Signature on the following page. After Upload your Photo and Signature Click on Submit Button. Now, you Redirected the First Page of SSC CHSL. Here you need to go Apply Part Section here you Enter your Registration Number and Password. And Login into your Application Form. Here you need to Fill Vacancy Recruitment. Such As: Examination Center, Qualification, Age Relaxation etc. After Fill these Information you need to Click on Submit Button and now a Popup window will be open your Screen as show on the Above Image. First you need to Click on Pay Examination Fee Option as Show on the Above. Now, a New Page will be Open on your Screen. Here you need to Enter your Registration Number and Password and then click on Submit Button. At this time you can Pay the Examination Fee through your Debit/Credit Card or Net Banking. So Choose any Option which one you have and Pay your Examination Fee. Now you need to Print your SSC CHSL Online Application Form for the Further Use. To Print your Application form first Click on Print Application Form Button as given above. Now you need to Enter your Registration Number and Password and then your Application Form will be Open on your Scree. So Click on Print Option and Print your SSC CHSL Online Application Form 2017. Usually I do not read post on blogs, however I would like to say that this write-up very compelled me to check out and do it! Your writing style has been amazed me. Thank you, very nice article.